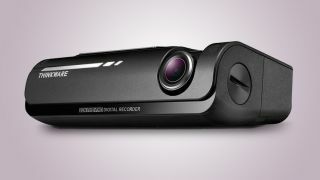 Finding the best dash cam in 2019 can feel overwhelming; there are so many models out there, and many companies make more than one. But, once you find the best dash cam for you, it can be one of the most crucial bits of tech you own, coming in handy in the event of an accident, or in case something really amazing happens on the road that helps you become YouTube famous. 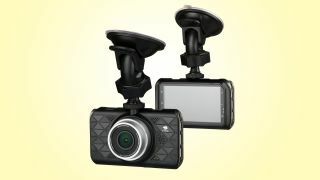 We’ve sifted through some of the top dash cams to nail down the very best dash cameras for 2019. It’s important to point out that dash cams are much more than GoPros mounted on your car’s dashboard; these are car-ready cameras that perform some critical functions and can even help you save time and money that would be better spent going back into your vehicle. Whether used to provide evidence to your insurance company or help you avoid paying for a crash-for-cash scheme, dash cams provide some peace of mind wherever your journey takes you. Generally the best dash cams have similar technology to one another, and for the most part mount somewhere along a car’s front windscreen, or windshield. Of course, wherever you place your dash cam must not block your view of the road. 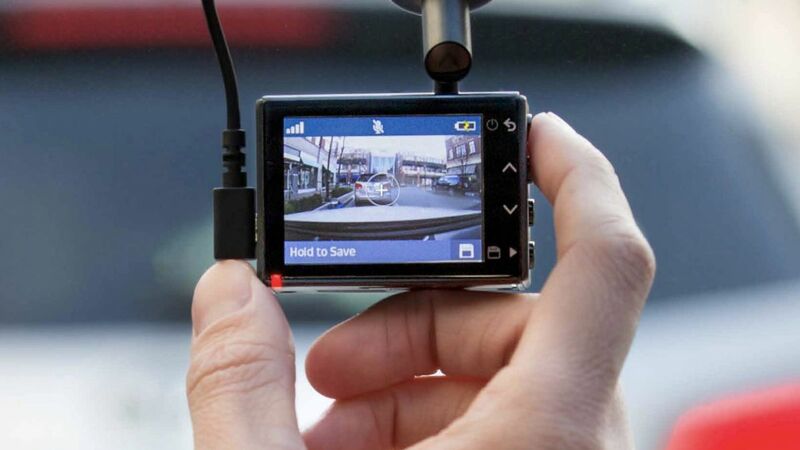 Dash cams record smaller snippets of footage, usually in increments of one to two minutes at a time. The cameras continually record over the oldest clip in order to keep the memory card from filling up as well. And while older models typically required the user to manually save or tag the appropriate clip in the event of an accident, new G-Sensor-based incident detection technology has taken over, and now takes care of this automatically. 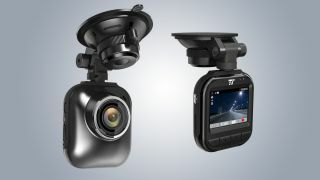 There are also dash cams that boast additional features that, just like any other technology, see the price increase. These extra features can include multiple lenses for front- and rear-facing coverage, improved sensor and image quality (HD recording, for example), night vision, built-in Wi-Fi for easy file transfer and numerous parking modes. These modes use a time-lapse feature as a surveillance function to capture details of those irksome car park prangs when you’re off running errands. Whenever we get a new dash cam review in, we’ll update this list with more of the best we’ve tested. Keep reading to find out which rank among the best dash cams 2018! It It might be small, but it packs in a lot into a compact body. 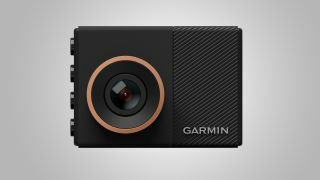 Garmin has applied its knowledge of action cameras and fitness trackers to the world of dash cams, and its mid-range Dash Cam 55 model offers sharp imagery and enough additional features to make it our top choice. 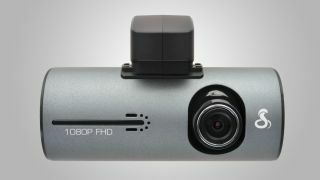 Offering 1440p video capture at 30p, video footage for a dash cam is great, while the 122 degree viewing angle is pretty good, though there are wider optics out there. A nice touch is the inclusion of an attachable polarizing filter to cutout unwanted glare from your car’s windscreen. Vital clips are automatically stored via the built-in G-Sensor technology, and thanks to the built-in GPS unit, all footage is stamped with time and location so there’s no disputing when and where an incident happens. Chuck in the voice control, drive awareness warnings and the neat little travelapse feature, and the Garmin Dash Cam 55 is one great best dash cam. Not as compact as the Garmin Dash Cam 55, but what the Mio MiVue does, it does very well. It’s still a pretty neat little dash cam, while there’s a large 2.7-inch touchscreen at the rear for simple control. Built-in GPS takes care of speed and location video overlays, while built-in Wi-Fi makes video and image transfer to smartphones and other devices simple. Above all else, the extra-wide 140-degree lens does an excellent job of capturing the action, while a high-performing sensor ensures the resulting video footage (Full HD 1080p at 30fps) is some of the best around. 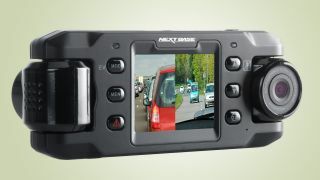 Nextbase has long been a leading name on the dash cam market, and this dual camera unit offers both front- and rear-facing coverage in one simple unit, as opposed to running unsightly wires to a separate unit in the rear windscreen. At 720p resolution, the footage isn’t the sharpest on the market, but the unit cleverly stitches both front and rear imagery together into one handy, side-by-side film for easier reviewing. Naturally, the Nextbase features a loop recording function, which will automatically delete older files as required. But it will also automatically detect and incident and save important clips to the on-board microSD card. It also features a built-in GPS module, which allows for the vehicle’s exact route, speed and position to be recorded, while a date and time stamp embedded on to the recorded footage provide further additional evidence. Unfortunately, there isn’t any Wi-Fi or Bluetooth compatibility, so retrieving footage will require extraction of the memory card and synching up with a laptop or PC. The super 2.19MP Sony Exmor CMOS sensor provides excellent quality from this sleek and diminutive package, while the additional extra flourishes are an added bonus. Designed to be mounted just beneath the rear-view mirror, the TW-F770 features just a few small buttons and no external screen – this is because it can be linked to a smartphone via its on-board Wi-Fi. This enables clips to be quickly and easily sent to a smart device, should you need to access them quickly, for example, but it does add an additional step to any settings and menu changes. A Super Night Vision feature boosts low-light settings for improved image quality at night, while a neat Time Lapse feature acts as a CCTV camera when the vehicle is parked. Bear in mind, though, that this mode will require hard-wiring the unit into the vehicle’s power supply, as is the case with most cameras featured on this list, rather than simply using a standard 12V lighter adaptor. An on-board GPS tracker, as well as speed and upcoming red traffic signal warnings make this a very accomplished piece of kit. 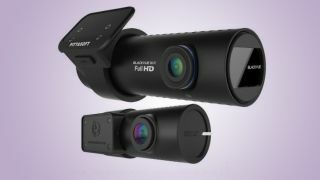 Often cited as one of the best solutions for regular or professional drivers, the dual-camera BlackVue covers many bases and boasts numerous additional features that go some way to justifying the lofty price tag. To get the most out of its features, including a detailed parking surveillance mode, the cameras require hard-wiring to the car’s power supply, but BlackVue makes this easier with an OBD II port converter, which plugs into most vehicle on-board diagnostics ports with ease. 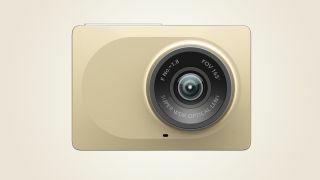 The 2MP CMOS sensor and 129-degree lens capture excellent-quality HD video footage from the front camera, while a smaller unit at the rear records in 720p, with incident detection technology automatically flagging the appropriate video footage. The BlackVue’s clear advantage over some of the rivals listed here is its Over-the-Cloud abilities, which mean drivers can check live footage from the car via a smartphone, laptop or PC, even when it’s parked. The small, sleek unit is also neat and doesn’t look out of place on modern vehicles, although the lack of screen and limited buttons mean it does require smartphone tethering to adjust settings. With its sharp ‘Ultra 2K HD’ image quality, broad 145-degree field of view and super-simple user interface, the Z-Edge Z3 has regularly been voted one of the best devices in its class. A 3-inch touchscreen display makes interacting with the camera extremely easy, although you’ll likely just set the camera up and let it do its thing, as most of the functionality has been automated for ease of use. Like most cameras on the list, the unit will power up and instantly start recording when the ignition is switched on (so long as it’s plugged into a power source), and turn off when power is cut. Memory is managed via a loop recording function, and incident detection ensures vital clips aren’t erased. In short, it’s a great package for those who simply want a fuss-free camera that delivers quality images without the hassle. Considering the price point, it’s very difficult to fault this TaoTronics model, even if it doesn’t boast GPS for speed and location recording or some of the added niceties of more expensive rivals. That said, there’s plenty in the box to get excited about, chiefly the various well-made suction or adhesive mounts, the extra-long power cable and a 12V lighter socket adapter that features two ports, meaning you can still charge your phone with the dashcam running. 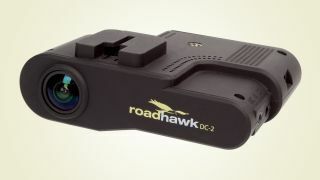 The unit itself boasts a G-sensor, for automatic saving of important incident footage, as well as a super-wide 160-degree field of view that’s able to capture five lanes of traffic. Low-light video footage is very good, and the audio quality is surprisingly good at this price. Minor foibles include the small and fiddly buttons, while the lack of speed and positioning information might be a deal-breaker for some. A dashcam isn’t exactly the sort of thing you purchase for its smouldering looks, but the Cobra CDR 840 is one of the very few units on this list that seems to have been designed with aesthetics in mind. The rear touchscreen may be small, but it’s sharp and very easy to navigate thanks to a simple joypad-style switch interface, with a clearly labelled, bright red button for manually saving important clips. Built-in GPS will take care of speed and location, while the G-Sensor tech will automatically save clips should the device detect an accident. The GPS system can prove a little touch-and-go if satellites are difficult to reach or if adverse weather is playing havoc with the signal, but this is another unit that’s very quick and easy to set up, with minimal on-going attention required. 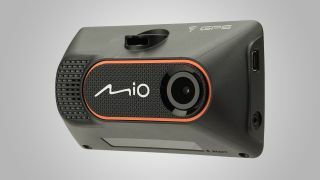 Yi is a recent entrant into the action camera arena, and is also busy plying its trade in the world of dashcams with some neat units that cram a large amount of technology into their small forms. The huge field of view on its Smart Dash Camera model means it can monitor the surrounding area and even warn the driver if the vehicle is straying out of its lane. Plus, a forward collision warning sounds if the device senses an impending impact with the vehicle ahead. This is all part of the Advanced Driver Assistance System (ADAS) package, which works in conjunction with G-Sensor technology and sees the camera automatically record and save clips in an emergency situation. An impressive all-glass, high-resolution lens and f/1.8 aperture means that video recorded in low-light situations is crisp and clear. Simplicity is the name of the game here, and what the RoadHawk DC-2 lacks in exterior looks and additional features it more than makes up for with great image and audio quality. Gyro-balanced image stabilization and a high-quality sensor team up to create excellent footage, even in low-light scenarios, while an audio-in connection allows additional microphones to be added. GPS technology is included to take care of speed and location data, although an external GPS antenna connection is also offered should you require a more powerful and reliable signal. The Fly12 CE from Cycliq isn’t a dash cam for you car, but for cyclists. 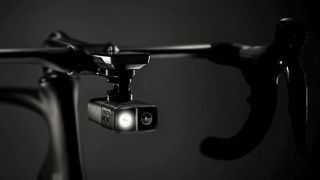 Packing a 600 Lumen front bike light, the Fly12 CE can record in Full HD at up to 60fps in either 5, 10 or 15 minute segments, while the 6-axis image stabilization system delivers smooth footage. Thanks to an ‘incident mode’ – if the Fly12 CE tilts over 60 degrees (falling off your bike in most instances), it will automatically lock and store the footage immediately before and after. Thanks to ANT+ connectivity, you can connect it to your Garmin cycling computer to control the Fly12 CE on the go. There’s also a handy app as well that provides greater control over the camera/light. Waterproof down to 1m, it should stand up to some wet rides, while the battery life is good for 8 hours (4-5 hours if you’re going to be using the light as well).